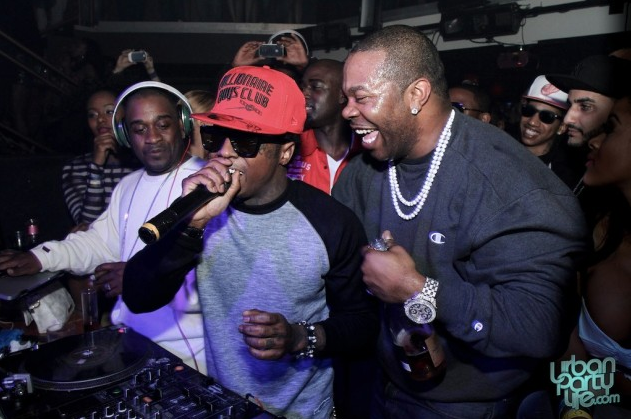 Cameo Nightclub in Miami Beach was the place to be on Saturday night, as The 400 Club presented a live performance by Busta Ryhmes. Partygoers also got a big surprise when special guest Lil Wayne took the mic as well. Spring Break in Miami Beach has become a celebrity playground. Click here to head to Urban Party Life’s exclusive gallery of the Saturday night’s party. « Snoop Dogg, Reggie Bush, Talib Kweli, and Lil Jon at Liv Nightclub, Miami Beach.